For a third consecutive start on Sunday, Houston Astros right-hander Gerrit Cole encountered a stretch where he wrestled with his control, a span of innings that called for his battery mate to help steer him through the rough patch and into smoother waters. Cole needed 33 pitches to post a scoreless first inning, and while he logged a season-low-tying five innings in the Astros' 11-3 victory over the Kansas City Royals, Cole was effective enough to pick up his ninth victory of the season and produce a line than plenty of pitchers would envy. The backstop -- Max Stassi caught Cole on Sunday -- is responsible for helping the starting pitcher navigate trouble. "You've got to try and find whatever the correction pitch is," Astros manager A.J. Hinch said. "If a guy's delivery is one way you might find a correction pitch to get him kind of locked in. You have to keep going to the secondary pitches even if he doesn't have a feel for it until it clicks for him. You've got to keep going to the well as much as you can to hopefully where he finds it. 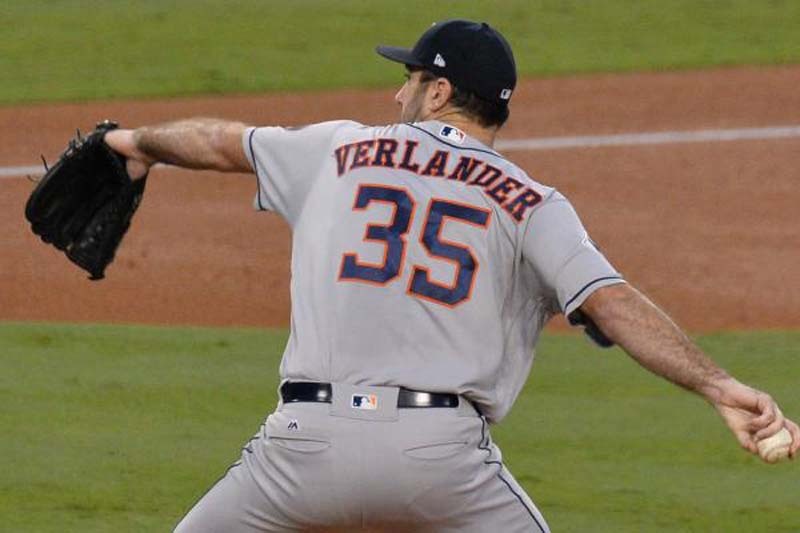 "Whether that's rhythm or timing of pitches, every pitcher has a key that will get him back in line with his delivery, his arm action, and his execution. You've got to find that by how you sequence your pitches along with attacking the hitter. It's a nice challenge for the catcher."